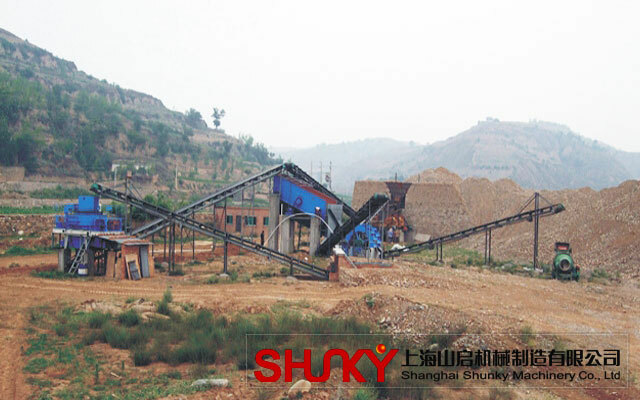 The whole sand-making production line consists of vibrating feeder, jaw crusher, VSI vertical shaft impact crusher, vibrating screen, sand-washing machine, belt conveyor, electric control system, etc. 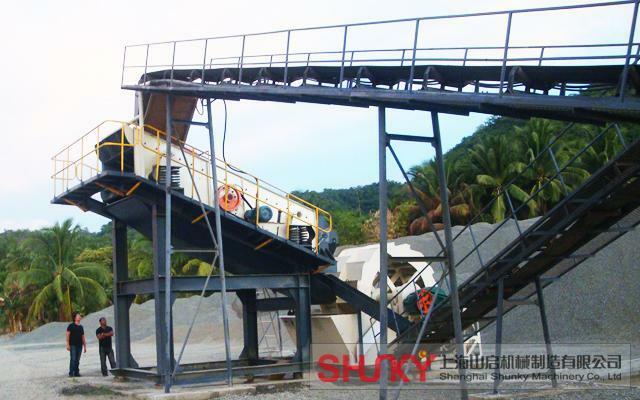 We design different production lines ranging 50 t/h to 500 t/h. 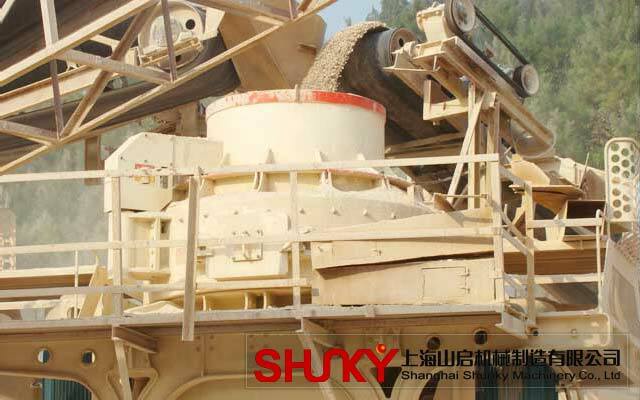 We have been researching the sand-making machine for years, and we have made it part of the production line. 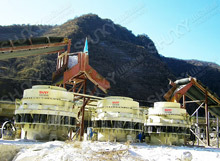 The whole set of sand-making line designed by our company is the leader in the artificial sand making field. 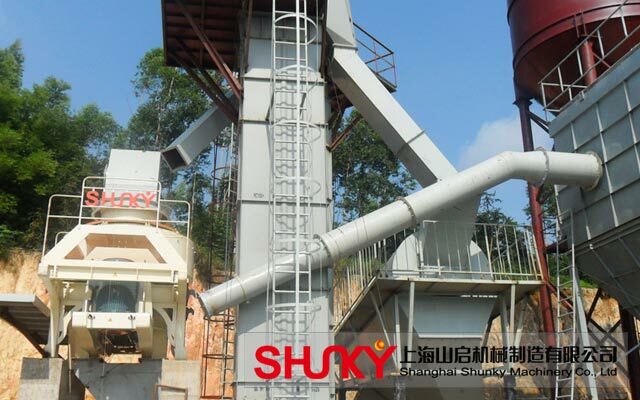 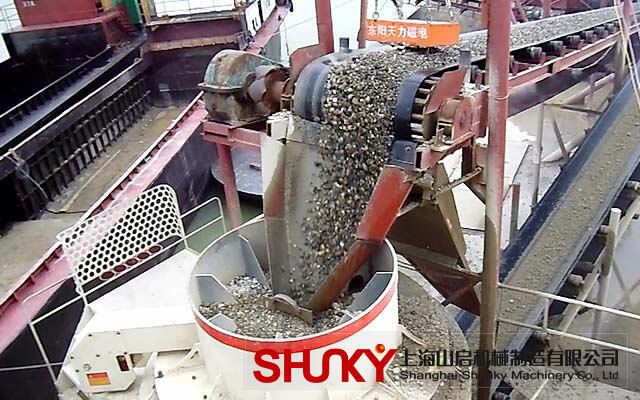 The raw material is transferred to jaw crusher for primary crushing by vibrating feeder, then the crushed material is transferred toVSI vertical shaft impact crusher through belt conveyor for secondary crushing( Impact crusher). 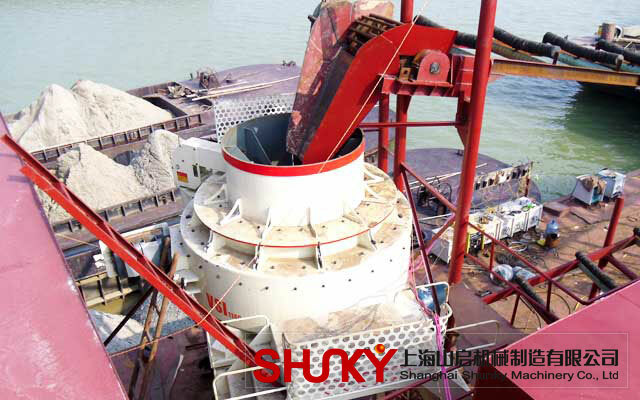 The materials crushed will be transferred to the vibrating screen. 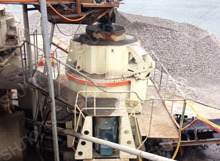 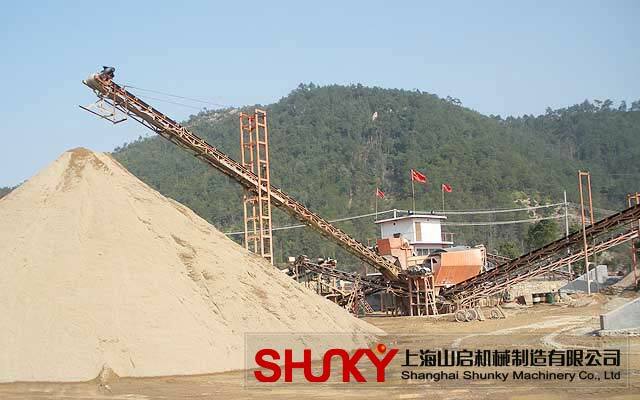 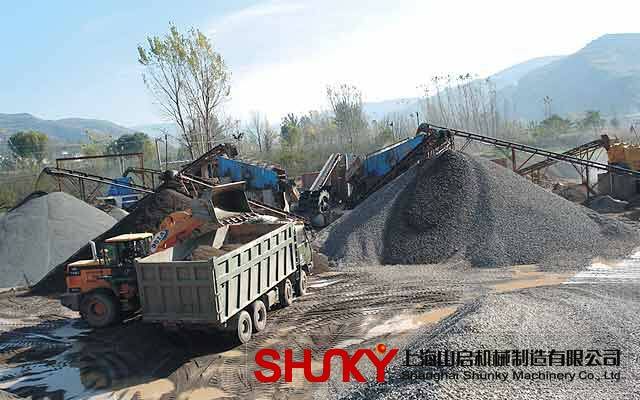 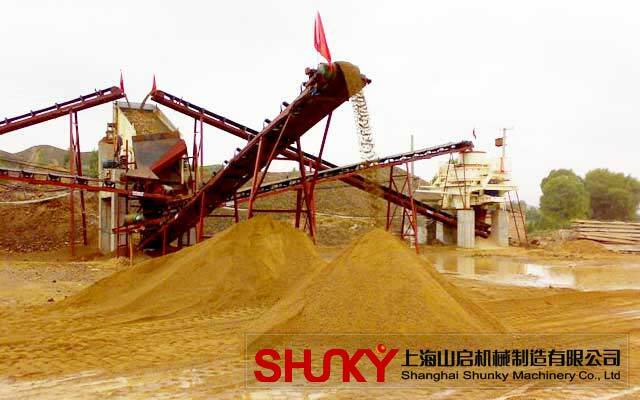 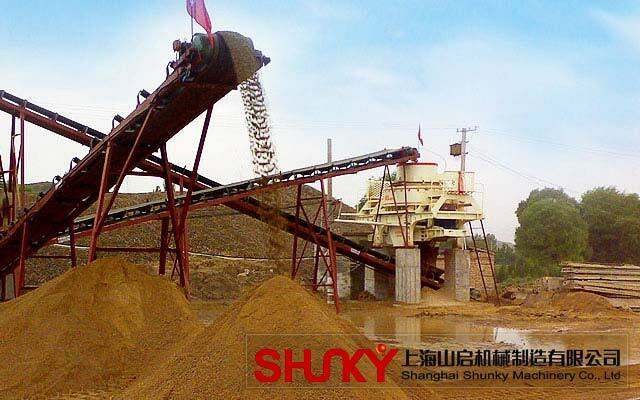 The stones with suitable size will be discharged, and the other material with unsuitable size will be screened from vibrating screen, then will be transferred to the secondary crushing, be screened from vibrating screen, then will be transferred to the sand-making machine, transferred to sand washing machine, after being washed, then clean final products will be discharged. 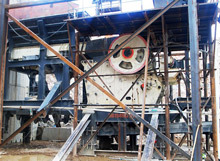 This forms 2 closed and manifold cycles. 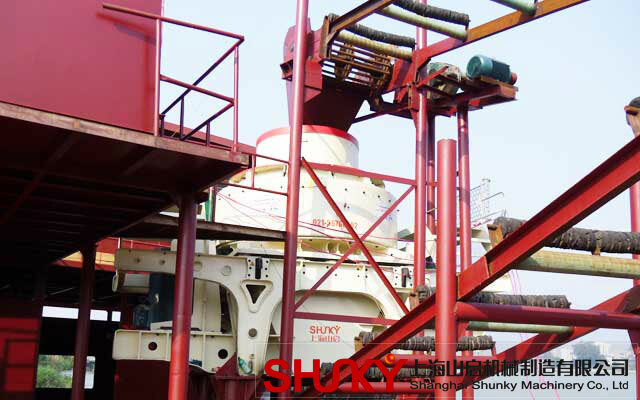 Sizes of final products will be according to our customers' requirements.